First of all, we would like for you to know that there will be free Wifi internet for all EGC visitors within the Congress Center. Unfortunately our bonus playing site Bastione Sangallo, does not offer Wifi, and cellphone reception there is very bad as well due to its thick medieval walls. To alleviate this, we do have some good news for anyone looking to buy a SIM card for their smartphone or tablet PC – a representative from Vodafone Italy will be on site offering their services, and stand ready to answer any questions you might have! 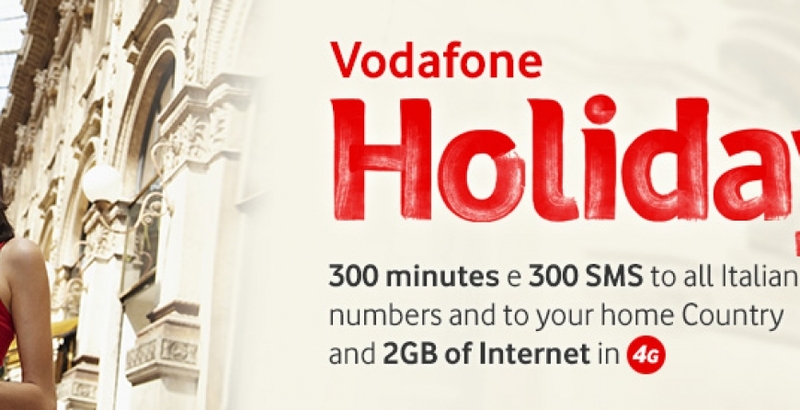 Probably the most useful offer is their Vodafone Holiday subscription: it includes 300 SMS; 300 minutes calling any Italian numbers or your home country; 2 Gigabytes limit on your data connection at 4G speed; these include options for renewal in case you run out. Make sure to also cancel the automatic renewal at the end of your trip by calling the free number 42071! You can only activate this subscription in person, not online. However, you still might find a better deal with other phone providers if you are willing to shop around. Anyone currently without a phone plan or SIM card. Anyone benefitting from using a phone number with an Italian country code. Anyone who prefers to buy a cheap, additional phone on vacation for security reasons.